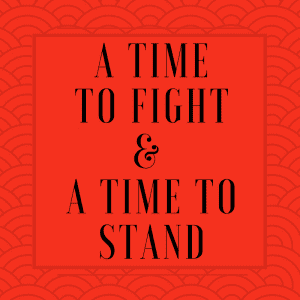 Don’t forget, after having done all to stand, just stand (Ephesians 6:13-14). Many of us have been in a battle for some time that has intensified to the point of almost being unbearable within the last two years. Of which, we have used all of the Word of God inside of us to fight and to stand. However, when we are so used to fighting such an intense battle, it can be easy for us not to discern when it is time for us to rest from such intense fighting, and to simply stand in that which we believe. Sidenote: We enter into God’s rest through believing (Hebrews 4:3). I was reminded of this when reading a story about King David in the Bible. David was older and he had fought much of his life to remain in position to obtain the promises of God including taking the throne of Israel. He had gone out to war with his men, and the Bible says that he was exhausted. His exhaustion had placed him in a vulnerable position where he was about to be killed. A young man named Abishai saved his life. After this encounter, David’s men scolded him saying how they forbade him to go out to war with them again so that the light of Israel would not be put out. Light of Israel statement showed David’s value to the men. He was highly respected, regarded, and valued just like we are, but many failed to realize due to the distraction of the fight.